Creamy, rich, and sweet, bananas are a favorite food. They are convenient to eat and are a good source of key nutrients. The only problem is that sometimes we buy too many and they start to turn brown. 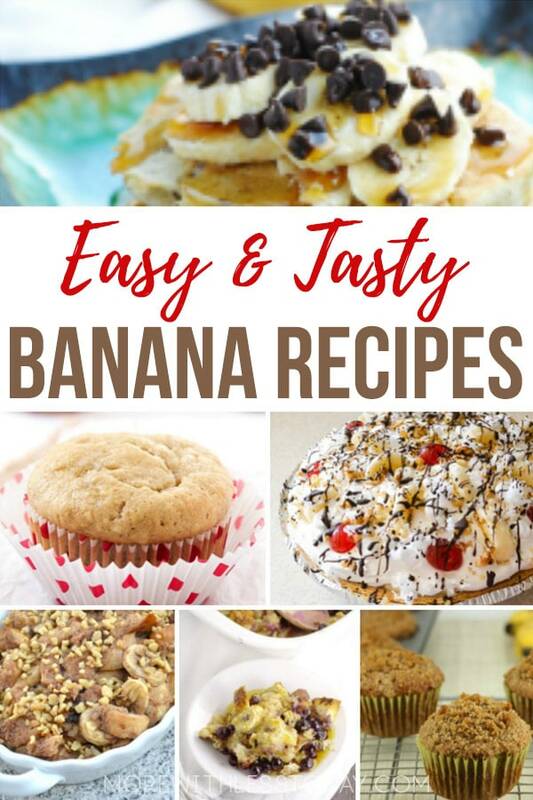 We found favorite banana recipes from top food bloggers to share. Now there is no need to throw away any overripe bananas. If you don’t have time to use your bananas when they ripen, peel them and put them in a freezer bag and pop them into the freezer. Banana home remedies are popular! I have heard that you can get rid of a wart by placing a piece of banana skin placed on the wart, with the yellow side out. Use surgical tape to hold it in place. I have never tried this, have you? Want a quick shine on your shoes? Take the INSIDE of the banana skin, and rub directly on the shoe…polish with dry cloth.